Ze Frank (born Hosea Jan Frank on March 31, 1972) is an American online performance artist, composer, humorist and public speaker based in Los Angeles, California. He was a pioneer of the vlogging format and is considered one of the most influential people in the field, inspiring such shows as the vlogbrothers, Philip DeFranco and Wheezy Waiter. He is currently executive vice president of video at BuzzFeed. 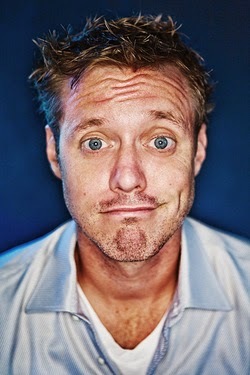 Ever since his "How to Dance Properly" viral video -- born as a party invite for 17 friends -- hit the Web in 2001, Ze Frank has been making people giggle, guffaw and gasp out loud whilst procrastinating at work. He defines, in many ways, the genre of online comedy, and continues to innovate madly on the form.